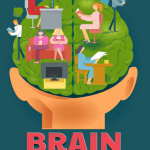 Is your blog working or you? Be honest! 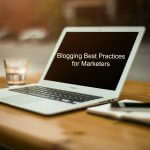 You’ve followed the advice of marketing experts and kept up with the latest trend of adding blog posts to your website. You’ve written dozens, or perhaps hundreds, of blog posts. But has qualified traffic to your website increased? And more importantly, is the phone ringing? Are e-mails inquiries coming in? 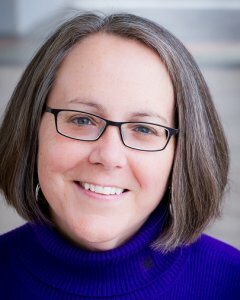 Are sales increasing? Or are you simply adding a bunch of content to your website that seems to be netting nothing? 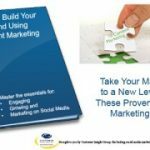 If you’re like most business owners who have invested a lot of time and money into writing new content for their blogs, the returns are disappointing. When it comes to blog posts and SEO (search engine optimization), it takes the same amount of time to do something wrong as it does to do it right. So, let’s take a look at why your blog posts might not be working and how to give them a boost. Most people who write blog posts craft them one at a time, or maybe a batch of four or five. They tend to write about whatever’s on their mind or whatever seems to be hot or trending at the moment. Because there’s no cohesive, over-arching content strategy, over time, the blog posts become a hot-mess of content, which confuses Google. And when Google is confused about what the site is about, it’s less likely to display an individual page from the site at the top of its results. To avoid this olio of posts, sit down and write a list of the next 20-50 blog posts you’ll add to your site. Next, group them into 4-10 categories that directly tie into or support your marketing efforts for your primary products, services, information, or mission. If a post doesn’t fit into one of your main 4-10 categories, you probably shouldn’t write it. 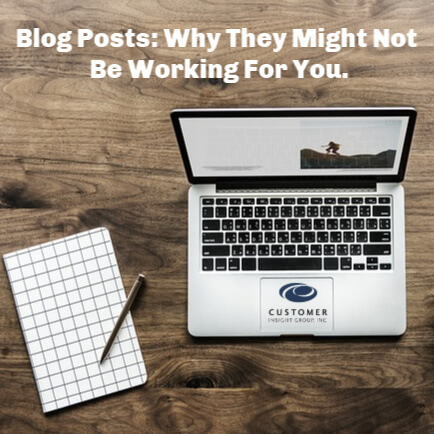 Many content writers do a great job of covering the subject of the blog post, but neglect to tie the post back into what the company or organization offers. Be strategic about what you include in your blog post. For example, if you’re writing about the “Top 10 Reasons To Earn An MBA,” bring up the reasons students should earn that degree at your college. If you’re covering “7 Skin Care Tips,” weave in info about the benefits of your products. If you’re focusing on “How To Choose An Accountant,” include the differentiators for your accounting services. Never, ever, forget that the point of a blog post isn’t to drive traffic to your site – it’s to get the readers to do something, to take some action that leads them closer to doing business with you or supporting your organization. Rarely do blog post writers include enough internal links in the content on the page, which is a missed opportunity. Internal links are “SEO gold,” giving Google a better idea of what the blog post itself is about, as well as helping the search engine understand what the linked page is about. You can point internal links to your related blog posts, or, better still, send the links to the main pages of your website. Be sure to include at least 5-10 contextual, internal links per page, and you’ll create the nice “webbed” effect that Google loves. 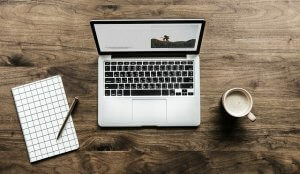 Most content writers don’t include calls-to-action as part of their blog posts, which lessens the chance that visitors to the website will take action. 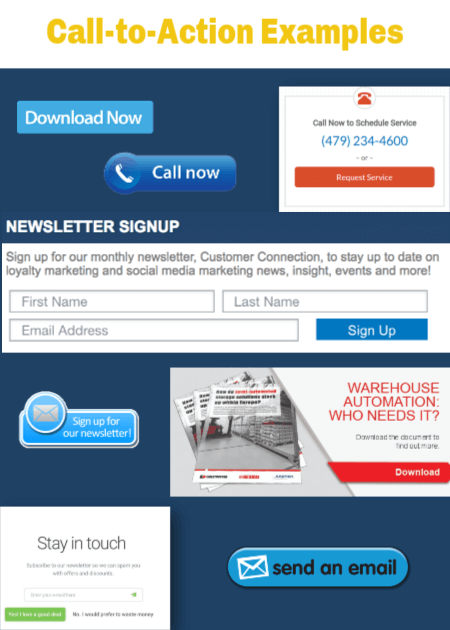 Don’t be shy…add calls-to-action (CTAs) to every post. You might think it’s apparent what you want the reader to do next to engage with you, but it seldom is. Make it crystal-clear! To ensure that your calls-to-action are effective, include them in the content of the blog post (ideally, at the top of the page) and/or in a button on the page. 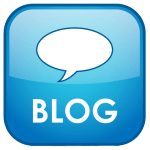 It’s that easy to make your blog posts more effective, really! Write the right content, relate it to what you offer, boost the post and other pages with internal links, and be sure to ask for what you want. 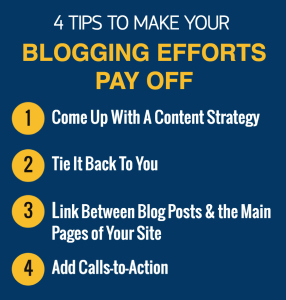 Do all of that, and your blogging efforts will be far more likely to pay off!